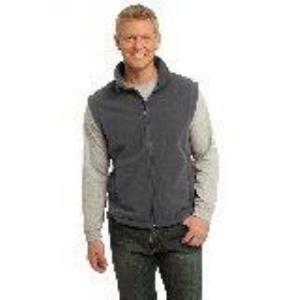 Show your lodge pride with this Port Authority fleece vest. Iron Gray with the Tarhe logo embroidered on front left chest, and Crane flap design lasered across the back. Vests are $40 (add $3 for 2XL & 3XL sizes). Personalize yours with your name embroidered on front right for an additional $4.